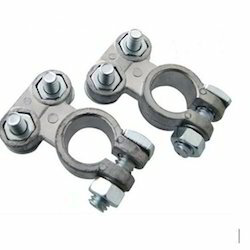 Leading Manufacturer of aluminium pg clamp, pg clamp, sub station connector and substation clamp from Ahmedabad. 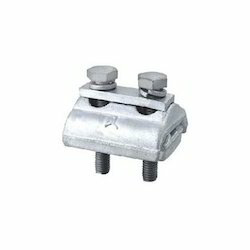 We are offering a wide range of Aluminium PG Clamp. We are offering a wide range of PG Clamp. This connector is available in various specifications as per the clients requirements.Moreover, our product is examined against various parameters to deliver flawless range at clients' end. Apart from this, our product is avail to our clients at pocket-friendly rates. Our company has been dedicatedly providing Sub Station Connectors. These can withstand extreme working conditions with ease and are high on performance along with superior in quality. These must be installed in an alternating pattern, commonly referred to as a star pattern. These are non-corrosive in nature and they have been priced at very reasonable rates in the market. We are offering a wide range of Substation Clamp from our extensive collection of products.In order to ensure quality, this connector is stringently tested on various parameters by our experts. Apart from this, remarkable quality and sturdiness increase the demand of our offered connector in the market.